I posted a shot of this bridge sometime ago from a different angle, well below the bridge. Here is one placing it in perspective as you climb up out of the deeper portions of the canyon. 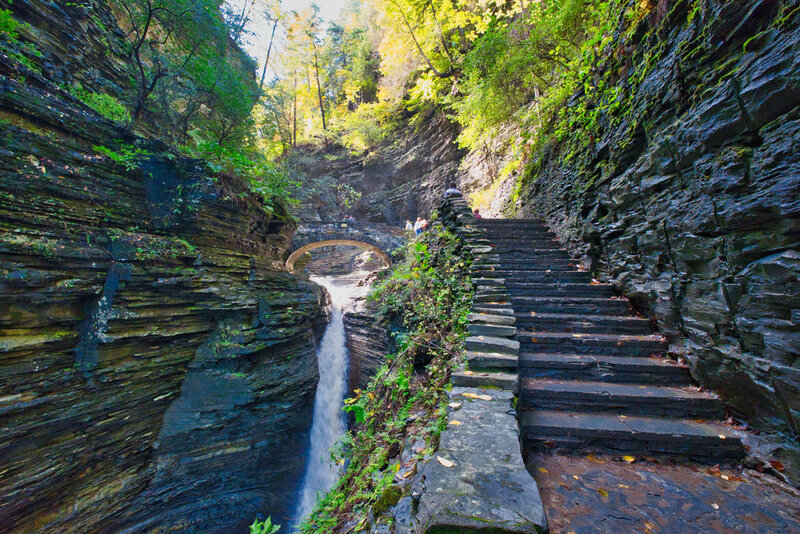 Watkins Glen State Park is a very interesting place and it would be neat to see this in the different seasons. We were here is late September of last year. I have two more to post from the same walk.